Good heavens! Lane! Why are there no cucumber sandwiches? For some reason, of all the scenes in the opening act of Oscar Wilde’s The Importance of Being Earnest, the cucumber sandwiches were the most memorable to me. 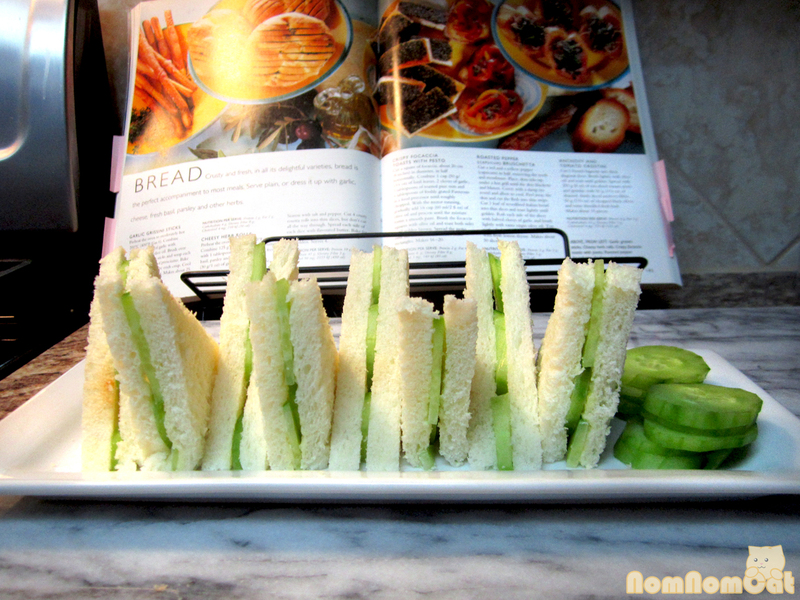 And now, English afternoon tea is just not complete without a tray of gorgeous, refreshing cucumber sandwiches. 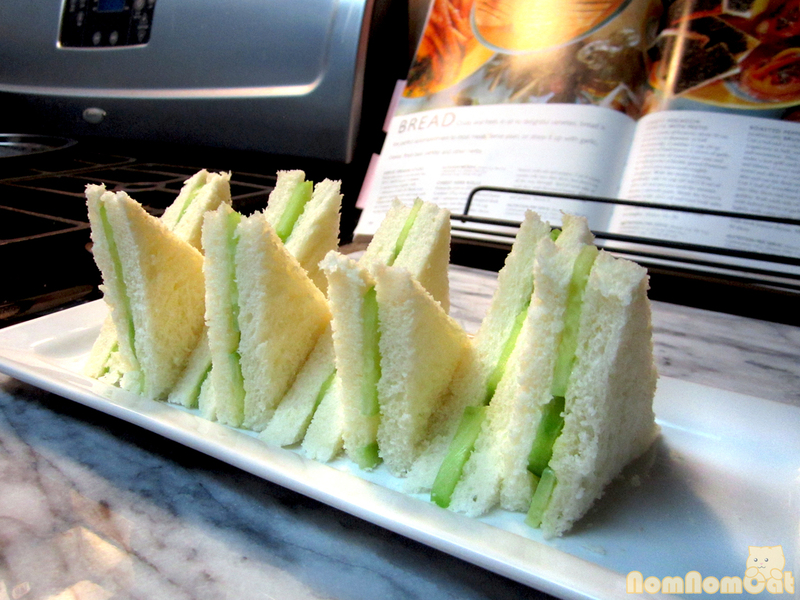 Elegant in their three-ingredient simplicity, cucumber sandwiches traditionally consist of thinly sliced white bread, paper thin slices of fresh cucumber, and butter. 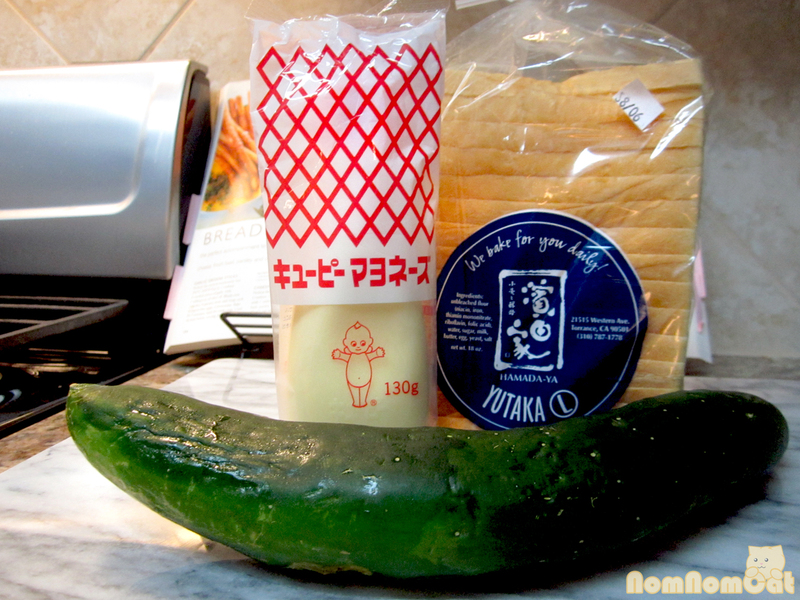 We recently came into some fresh cucumbers from our friend’s garden, so I decided to grab Kewpie sweet mayonnaise in lieu of butter, a loaf of Japanese white bread, and steep a pot of Earl Grey. 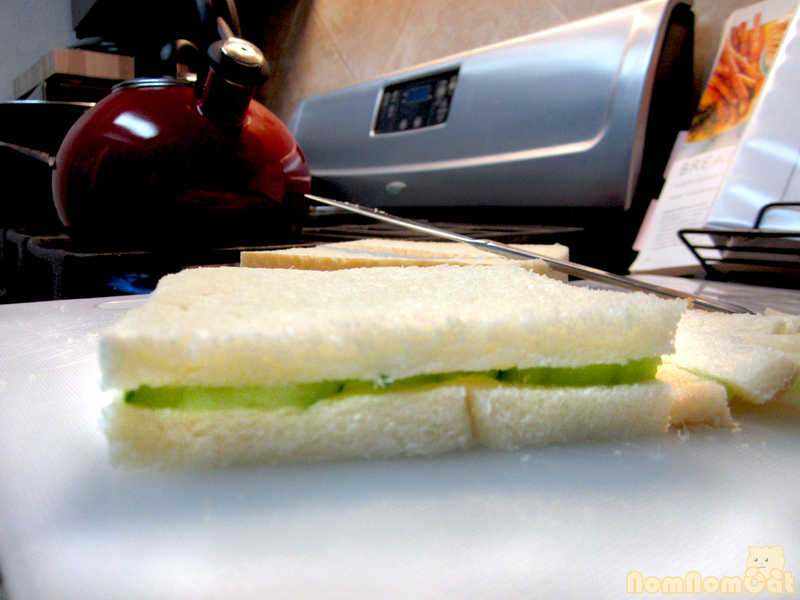 A very thin layer of the sweet mayo prevents the cucumber from making the bread soggy and adds a hint of tartness. Cucumber slices, ready for action! 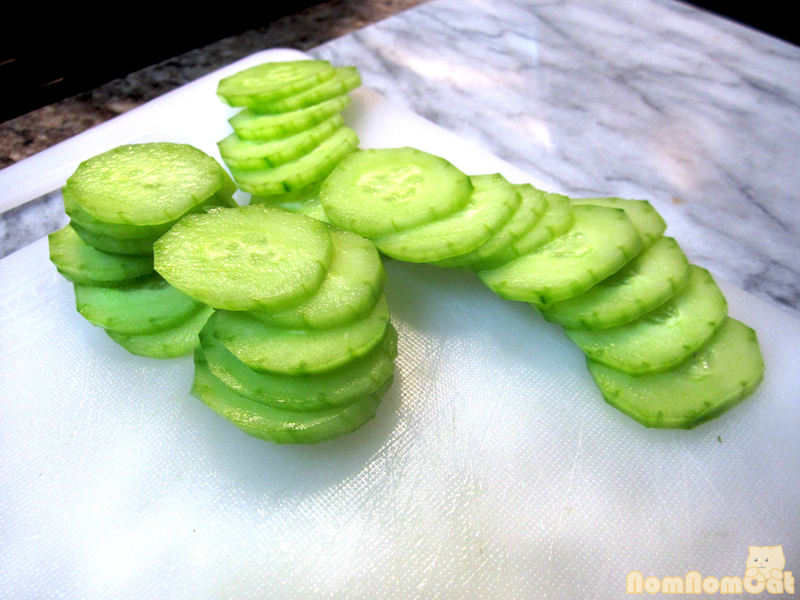 Peel and slice the cucumber as thinly as possible. You could save some time and use a mandoline if you have one. 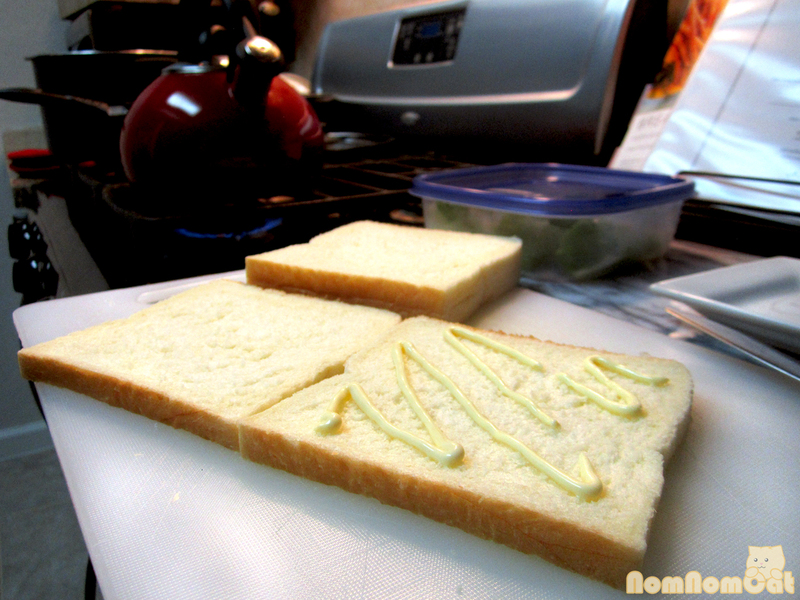 Drizzle about 1 teaspoon of the sweet Japanese mayo onto a slice of bread. Spread evenly, all the way to the edges. If you have any “extra,” scrape it off and slather onto a second slice. 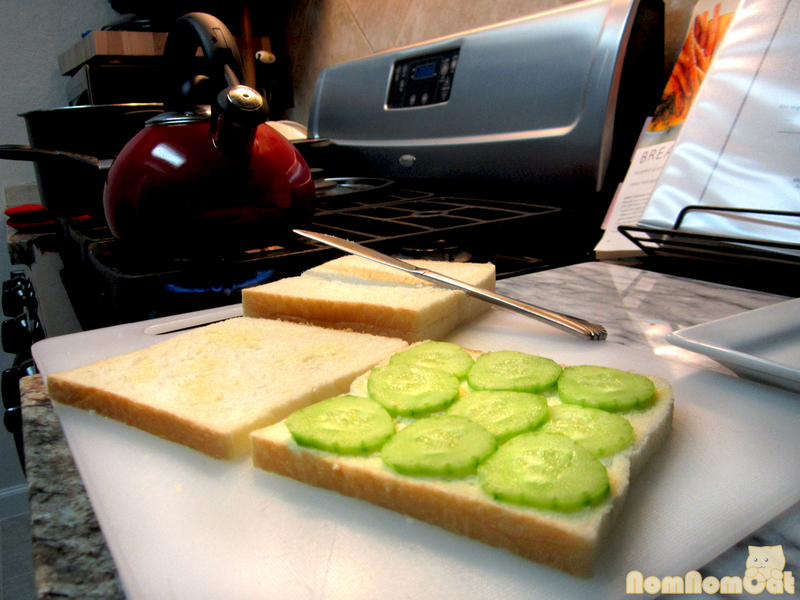 Arrange slices of cucumber in a single layer. Top with the second slice of bread and cut off the crusts. Cut the sandwich on the diagonal twice, making four dainty triangles. Pour yourself a cup of tea, switch on BBC America to the latest episode of Doctor Who (unveiling of the Twelfth Doctor, anyone? 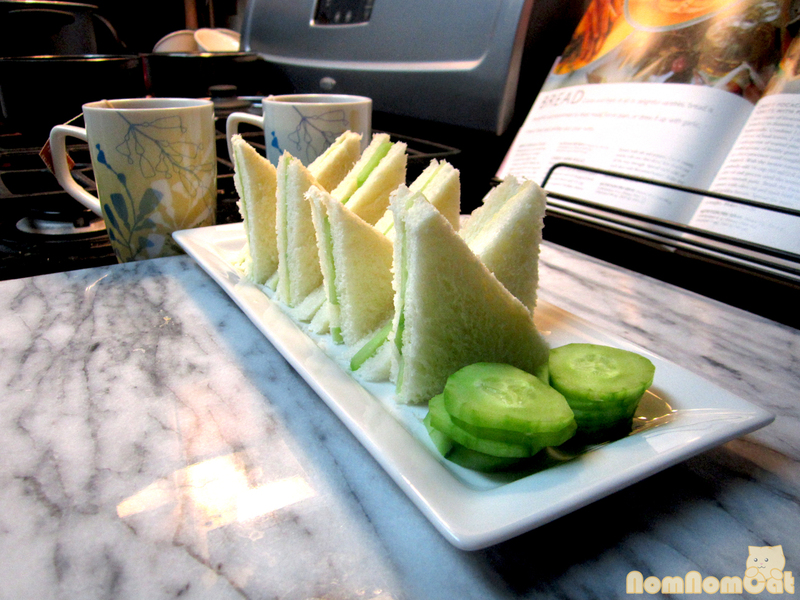 ), and enjoy afternoon tea with this Japanese twist on a British classic. Keep calm and carry on, my friends. I had no idea you were a Dr. Who fan. Surprises abound. 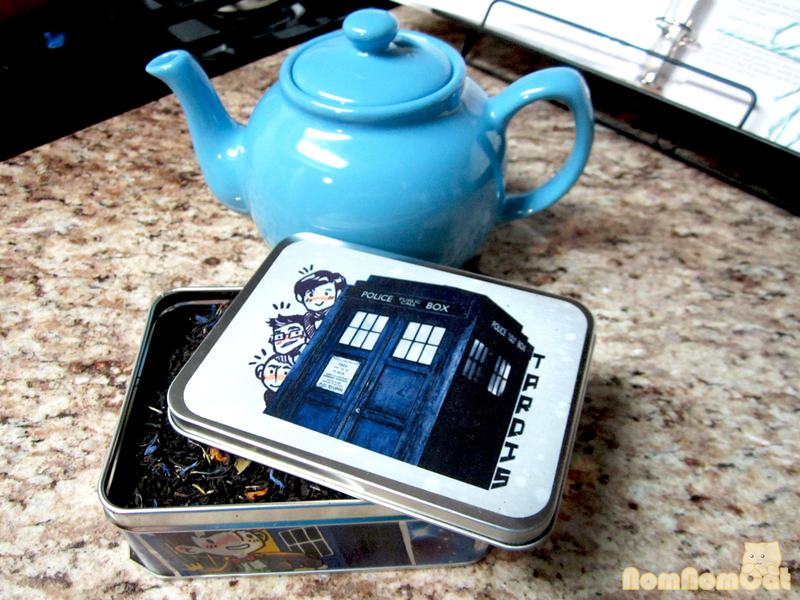 Did I fail to show off my TARDIS cookie jar on one of our Skype dates?! ?